Stage 2 brings the predicted deciding moment in the GC race. It’s the first TTT in the race since 2005, except that was 21.2km shorter. This stage is 41.3 km and will see the riders climb over 600 metres. It’s run over undulating roads, with a significant, but uncategorised climb coming at the halfway mark. The first half will see the teams roll out over undulating roads, which then feature a 5km descent down to the town of Orfes. The road then steadily climbs over the next 10km, the most testing section is at the end of this with the last 1.2km averaging at 6%. Expect some teams to drop riders here and the remaining 20kms over rolling roads could be fairly comical as the stragglers struggle to get back on, as they will need five riders to cross the line to stop the clock. After this climb, the route continues on rolling roads until the finish. If a team isn’t proficient in the discipline then the gaps between the teams in the top ten would usually span 40/50 seconds over a flattish course between 20/30km. Factor in the unusual length and lumpy terrain of this stage and these gaps will turn into minutes. Earlier this year we saw a 37.9km TTT at the Volta a Valencia, on a similarly lumpy course, and the gap from first to tenth was two minutes. BMC won that day and they would be favourites here again. They come with Van Garderen, Dennis and Brookwalter as the TT specialists, with De Marchi and Hermans also bring good engines to the team. Hard to see them being beat really. Sky, who were second to BMC at Valencia, will not be far off the best time with the likes of Froome, Thomas, Kiryienka and Kennaugh. They won the 27.8km TTT at La Vuelta last year and Froome will be looking to get as much time between him and Contador before the undoubted aggressive racing from El Pistolero in the mountains. Movistar posted the same time as Sky but lost out by just four hundredths of a second. Castroviejo, Oliveria, Valverde and Amador will be the main drivers here and they will try and limit the damage, as it will be hard for Valverde to gain this back in the high mountains. Trek-Segafredo will also want to limit Contador and Mollema’s loses. Matthias Brandle is their best TT rider, along with the GC leaders of the team and Pantano is the Colombian TT champion and the amount of climbing should suit him. They should be pushing for a podium spot and keep their losses down to around a minute. At Tirreno-Adriatico FDJ proved that last season’s TTT form was no fluke, as they finished 3rd. They might have lost Geniez to AG2R, but Le Bon and Ludvigsson will drive the team. With no real GC contender, the time losses won’t matter to them, but they should push for a top five finish. Orica-Scott has been the masters of this discipline in recent years, but haven’t won a TTT since the 2015 Giro. Tuft, Howsen, Edmonson and Brewly will be the power here, with Impy and Yates also capable time triallers. A genuine outsider and a great chance to put Yates right in the frame for the GC. Quickstep will need to ride out of their skins to keep Dan Martin in the hunt for the GC. There aren’t the usual big TT powerhouse in the squad, Kavanga and Schachmann are decent young prospects but it will be a big ask for them to lead the team over the distance. 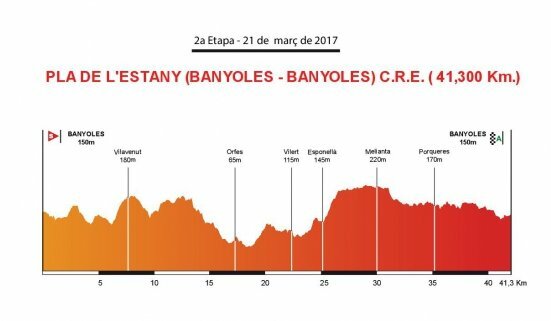 They will have to play on the profile of the course being a leveller and play to strengths of Martin, Brambilla and Vakoc on the climbs. Our Pick: Heart says Orica-Scott, but head says BMC. The mean in black and red to take it by a good 20 seconds from Sky.